Overall the web is pretty sloppy, but an online store can’t afford to be. Selling directly from your website opens up a huge opportunity for your business. Allowing customers anywhere in the world to buy from you around the clock is a sure way to increase sales. But getting it wrong could be a costly exercise. Managing extra stock, understanding online selling regulations, setting up payments gateways all add to the complication of setting up your online store. But we are here to help with everything from choosing the right product lines to get started with, integrating your payment gateway and marketing your website to maximise sales. We build all our ecommerce sites on WordPress and WooCommerce to bring maximum flexibility to your project. WooCommerce is the market-leading, extensible ecommerce system, that’s robust and easy to manage. It’s flexible enough to plug into a site as an add-on or be a fully-fledged ordering system. 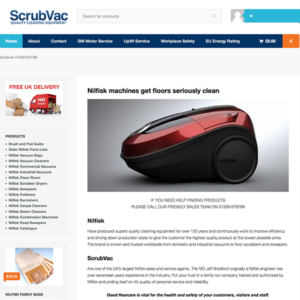 We have sites with 3 products and 40,000 products and WooCommerce handles them equally well. We give full training in all aspects of product management and order processing, and provide ongoing support and resources for peace of mind. Here are some of the sites we have built on WooCommerce. This website, selling tribal rugs and carpets from the Middle East, was a collaboration with an Edinburgh design company to produce a bazaar-type feel to the buying experience, with the convenience of ecommerce. We believe the ScrubVac website is on the of the largest product catalogues ever put onto WooCommerce, yet that doesn’t impact on speed or performance, and use of categories make browsing easy. 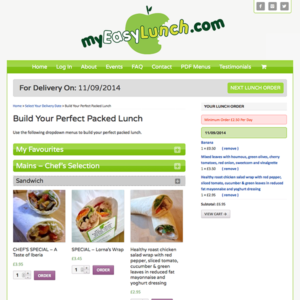 This highly customised variation of WooCommerce was a hit with out-of-town workers who could get their lunches delivered to their door. As a local service, we used postcode verification to limit user access. If you have questions about ecommerce, we can help. Just ask.